Finally, a Tizen smartphone from Samsung may finally be on track for a release in the second quarter of 2014. Even though the Korean company had similar plans in early 2013, it seems like things are for real this time around. In a wide-ranging interview with Reuters, Samsung’s senior VP for product strategy, Hankil Yoon, stated that both a Tizen phone and an Android Wear device would be released this year. After what could easily be called a failure with its first Gear smartwatch–which did run Android–Samsung switched to Tizen for the Gear 2 and Gear 2 Neo. Now that Google has come out with a platform that is specifically meant for wearable electronics, Samsung is at least going to try it out and see how it stacks up against Tizen. 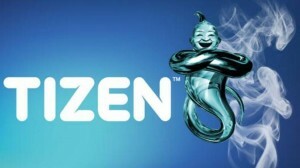 Yoon says that the first Tizen smartphone that Samsung comes out with this year will be a high-end device. Unlike before, Samsung is going to focus on just a few markets with the smartphone, rather than releasing it in dozens of countries. Android Wear–Google’s wearable OS which was announced in March 2014–will also be on the Moto 360 and LG G Watch, the later of which is expected to ship in the second quarter. By the time that Samsung comes out with its Android Wear device, there will likely be multiple players in the market, so it’ll be interesting to see which platform (Android or Tizen) is best for Samsung’s product line. Question – Are you more interested in a Tizen smartphone than a new Galaxy device? Summary: Samsung has announced that it will release a high-end Tizen smartphone and an Android Wear device this year. The Tizen smartphone is expected to be released in Q2 2014.